As a parent or child care professional the best thing you can do about tantrums is to prevent them from happening. They can be an incredible time-waster, emotionally draining and, if they happen in public places, embarrassing, too. I've met parents who think that the way to deal with tantrums is out-shout their child, get furious, maybe administer a slap or two. It rarely works, and the resulting scene creates a space where nobody wants to be, except perhaps for pathologically angry people out there who enjoy confrontation. Then there are the parents who take the opposite approach, even when a melt-down is inevitable, they carry on with whatever it was they were doing, allow the tantrum to happen and eventually blow over. 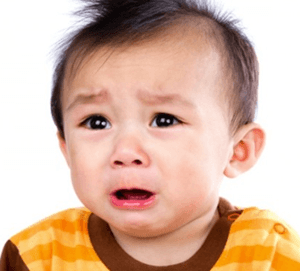 Tantrums are an inevitable part of a child going through the "terrible twos" and whatever it is that the "threes" are called, but you can prevent most of them from happening once you learn the warning signs. Just as we adults have bad moments when we are tired, frustrated, or having a headache, children do as well. The difference is that children don't always understand what has made them feel this way and even if they did, they probably wouldn't have the vocabulary to explain it. The observant parent nanny or babysitter will notice the first signs of negative behaviour and help steer the child back into control of her emotions. Rather than commanding the child to do a particular thing, give a choice. If you can make at least one of the choices funny or amusing, so much the better. "Shall we waddle like a duck to the bathroom to clean our teeth, or shall we gallop like a horse to the bedroom to change into our PJs? When a child is on an emotional knife edge it is often just as easy to nudge her into fits of giggling as it is to allow her to descend into stubborn crying resistance. One of the most effective things I discovered was story telling. All kids love stories and a good story, even a not VERY good story, can calm a child down better than anything. I'm not talking about pulling out a book, but rather tell a story about what you did when you were your child's age. What was it that you liked or didn't like about bedtime. What funny things did you do to try to get out of cleaning your teeth? What did you mother do to persuade you? You can embellish these stories to make them funny, but probably at the end you should admit that it wasn't the "whole truth". I used to tell imaginary stories in which the main character was my daughter and in which she would get lost, meet her best friend, be chased by dinosaurs, discover a fairies' circle, go swimming in a lake and all manner of adventures. It became a challenge to keep thinking of new story lines, but it was fun, and it could completely derail any tantrum train. Children love it when adults act silly. We are so stressed out by just getting through each day, we easily forget how much fun it can be to pull a silly face, pretend to trip over, act as if a soft toy teddy bear is attacking you, have a pillow fight, or talk like Donald Duck. Most parents quickly learn that it is hard for a child to immediately stop doing something he or she is interested in. Remember to give a few early warnings so that the child can mentally adjust. "Dinner will be ready in 15 minutes" is going to work a lot better than "Dinner time, put your things away and come and eat your dinner"
Try to use positive words. Children hear a lot of "don't do that! ", "stop it", how many times have I told you? ", "don't touch!" and replace them with positive alternatives, such as "while mummy is working in the kitchen, why don't you make dinner for you dolls in your room?" Children quickly pickup on negativism and adopt it as a form of defiance which puts them on track for a tantrum. As professional caregivers, or as devoted (albeit busy) parents, we need to be constantly reinforcing good our children's good behaviour and defusing tense moments which can lead to negative behaviour. What do You do When Your Child Won’t Tell You What’s Wrong?